I have a review for the Colossal Blitz coming, but I first wanted to tear it apart and show how it works! This is going to be very picture intensive, so hang in there! 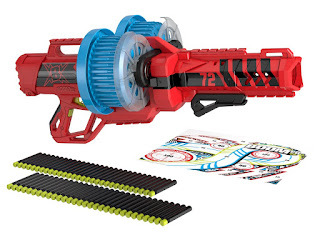 Mattel is on a roll with their Boomco line of blasters. Entering the blaster market with not only your own new brand, but with an entirely new ammo ecosystem is a huge gamble. It appears to be paying off, or at least eating enough of Hasbro's market share to justify a continued existence. 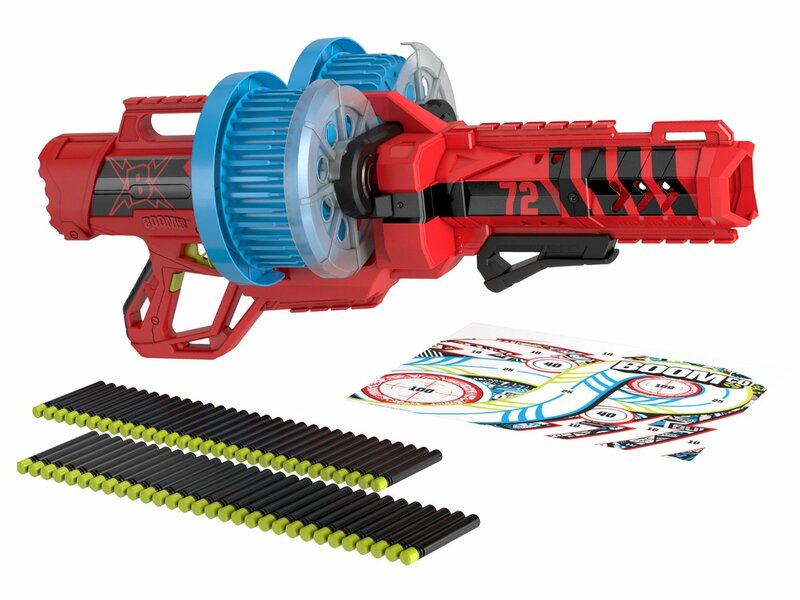 This year, Mattel is not only producing new Boomco blasters; they're signing agreements to use various licenses, including Halo (and just in time for Halo 5's arrival). Among these licensed products are two reshells of the Farshot. While $13 each (or $25 for the two pack) is a somewhat high price, they're reliable blasters with stellar performance. Plus, it's Halo!